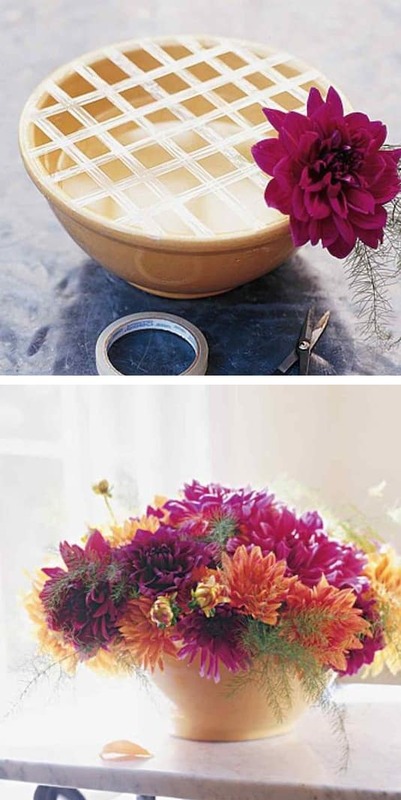 If you have ever tried arranging flowers in a wide mouth vase or bowl, then you know that the flowers tend to just fall to the side, making it difficult to arrange something that looks half-way decent. If you form a grid with cellophane tape (or any tape you have on hand), the tape will support your flowers and give you better control of your arrangement. 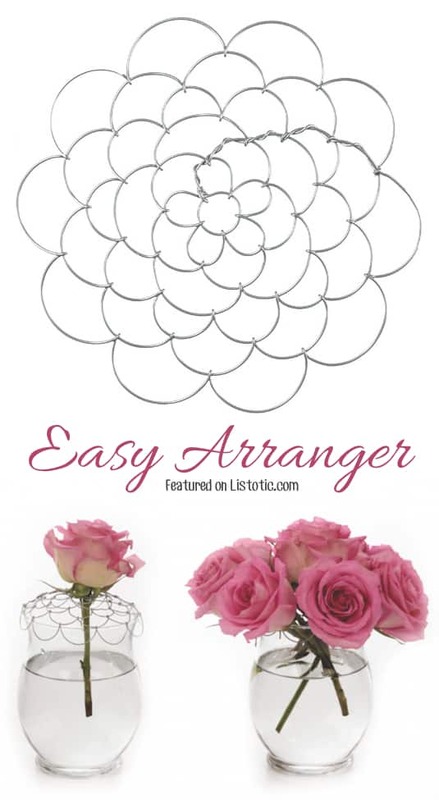 Just be sure that the rim of your bowl or vase is dry and your container is full of water before assembling your grid. The only downfall I’ve found with this method is that it is more difficult to change the water.